This cushion is contoured to better fit the shape of your body. It can be used as either a Back Cushion or a Seat Cushion, please specify. 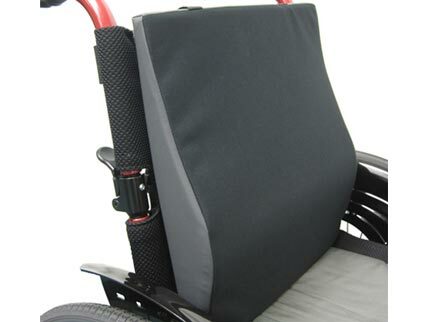 This cushion is designed to compliment the frame design of the Ergonomic wheelchairs, but can be used on any same width chair. Don’t forget to add the Ergonomic Contoured Memory Foam Backrest for the ultimate combination of comfort. 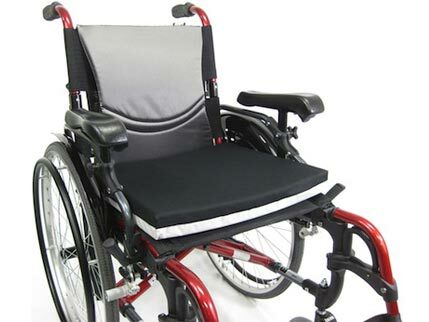 Gel Foam Wheelchair Seat Cushion is designed with comfort and pressure relief in mind. The cushion is constructed with a gel bladder surrounded by high density foam to mold comfortably to the user. As an added bonus, the breathable cover can easily be removed and washed to ensure a safe and sanitary condition. All these features ensure proper skin integrity and help prevent pressure ulcers and sores. The Karman Healthcare Wheelchair Back Cushion is a contoured foam back cushion that provides upper back comfort and lumbar support. Designed to reduce lower back pain and muscle tension while seated for prolonged periods of time.